USPA NEWS - The Report "Functional Food Ingredients Market by Type (Probiotics, Prebiotics, Proteins & Amino Acids, Phytochemical & Plant Extracts, Omega-3 Fatty Acids, Carotenoids, Fibers & Specialty Carbohydrates), Application, Source, and Region - Global Forecast to 2023", published by MarketsandMarkets, the Market is estimated to be valued at USD 68.60 billion in 2018 and is projected to reach USD 94.21 billion by 2023, at a CAGR of 6.6%. Functional Food Ingredients help manage Weight, improve Infant Health, and help prevent Conditions such as High Blood Pressure. 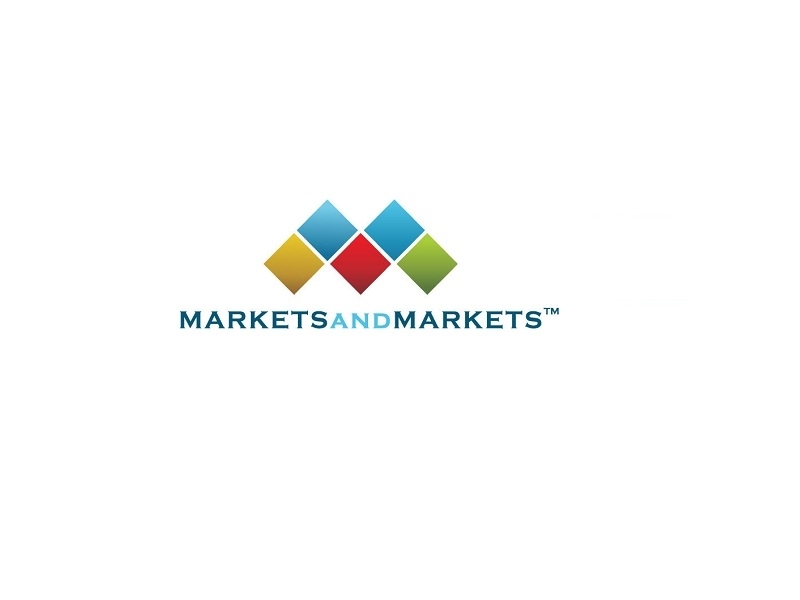 The Report "Functional Food Ingredients Market by Type (Probiotics, Prebiotics, Proteins & Amino Acids, Phytochemical & Plant Extracts, Omega-3 Fatty Acids, Carotenoids, Fibers & Specialty Carbohydrates), Application, Source, and Region - Global Forecast to 2023", published by MarketsandMarkets, the Market is estimated to be valued at USD 68.60 billion in 2018 and is projected to reach USD 94.21 billion by 2023, at a CAGR of 6.6%. Functional Food Ingredients help manage Weight, improve Infant Health, and help prevent Conditions such as High Blood Pressure. ThesePproducts are Popular among Younger Consumers who are becoming increasingly Health Conscious. The Market is driven by the Growth in the Need for Food Enrichment due to High Processing Levels of Food pPoducts and R&D and Expansion of Production Capacity to enhance Applicability & accelerate Growth. The Functional Food Ingredients Market, by type, is estimated to be dominated by the Probiotics Segment. Probiotic Foods are a Group of Functional Foods that are gaining a Large Market Share and Significant Commercial Interest. Probiotics are Live Microorganisms, which when used or added in Adequate Amounts to a Food Product, confer a Health Benefit to the Consumer. They provide Numerous Health Benefits beyond providing the Basic Nutritional Value, leading to the Dominance of Probiotics in the Functional Food Ingredients Market. The Food Segment is projected to be Faster-Growing, by application, during the Forecast Period. The Market for Functional Food is increasing as Consumers prefer Balanced Diets and Food that not only takes care of their Appetite but also helps enhance their Immunity. This, along with Product Innovations in terms of Flavors and Variant Offerings, presents Significant Opportunities for the Growth of Applications in the Functional Food Ingredients Market. Factors that are further fueling Consumer Interest in Functional Foods are the Rapid Advances in Science & Technology, increase in Health Care Costs, Aging, and Growth in Interest in attaining Wellness through Diet. The Functional Food Ingredients Market, by source, is projected to be dominated by the Natural Segment during the Forecast Period. Functional Food Ingredients, in their Natural Form, are widely used due to Growing Consumer Demand for Natural Ingredients; the Growing Awareness about the Health Benefits associated with Ingredients sourced from Natural Sources is driving the Growth of the Natural Segment over the Synthetic one. The South American market is projected to grow at the highest CAGR from 2018 to 2023. The region displays a variety of different demographic and developmental trends; the common regional trends that are expected to help drive market growth include rapid urbanization and increased life expectancy, the high occurrence of obesity and malnutrition, rise in incidences of chronic diseases, and mortality rates. All these factors have further propelled consumers to move toward increased adoption of healthier products. This Report includes a Study of Marketing and Development Strategies, along with the Product Portfolios of Leading Companies. It includes the Profiles of Leading Manufacturers such as Cargill (US), Archer Daniels Midland Company (US), Koninklijke DSM N.V. (Netherlands), DowDuPont (US), BASF SE (Germany), and Arla Foods (Denmark). Royal Cosun (Netherlands), Ingredion Incorporated (US), Arla Foods (Denmark), Tate & Lyle (US), Ajinomoto (Japan), Kerry Group (Ireland), BENEO (Germany), Chr. Hansen (Denmark), Kemin Industries (US), and Roquette Frères (France) are other Players that hold a Significant Share of the Functional Food Ingredients Market.